One of our readers had an issue with his computer. He told that his computer screen went black and white (grayscale) suddenly and he has no idea what has gone wrong. He reinstalled the graphics card driver, looked into graphics card properties thoroughly but didn’t find a solution. In this article we will discuss about two solutions to the issue of screen going black and white in Windows 10. Windows 10 Fall Creators update brings some exciting features for users. Unfortunately, some features get turned on mistakenly using unintended keyboard shortcuts. This issue arises from the same cause. Windows 10 Fall creators update has a feature of color filters. 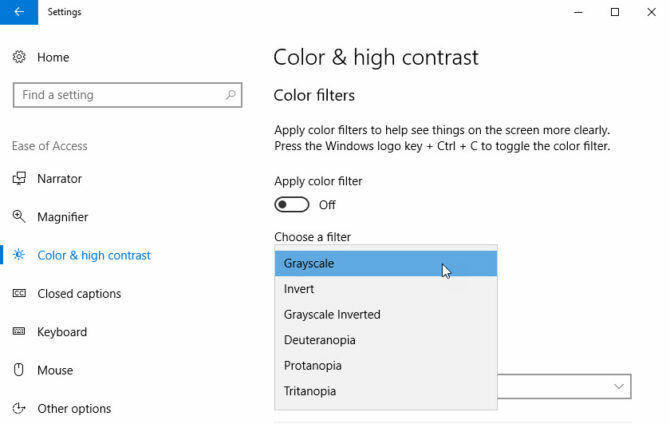 The user can turn on/off color filters in Windows 10. This feature is especially useful for visually impaired people who want a high contrast display. Most probably you had enabled Windows 10 color filters using a keyboard shortcut key mistakenly. To enable or disable color filters in Windows 10, just press Windows Key + Ctrl + C. This will enable color filters. If they are already enabled, pressing the same key sequence will disable the color filters. Hopefully this will solve your issue of computer screen going black and while or grayscale. 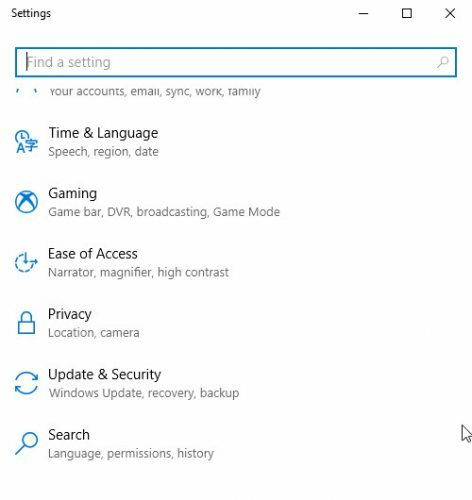 This setting of Windows 10 is permanent and will not be reverted even after restarting your computer. So you have to manually disable the setting if it is enabled mistakenly. Please note that color filters feature is only available in Windows 10 Fall Creators Update (Version 1709). If you can’t find it then you don’t have the latest version of Windows. You may download and install the latest Windows 10 Version 1709 from here. I am a new windows user and this was a great help. Especially the screenshots. Did exactly that and the screen is normal again.